Neoprene ankle support with crossed band. 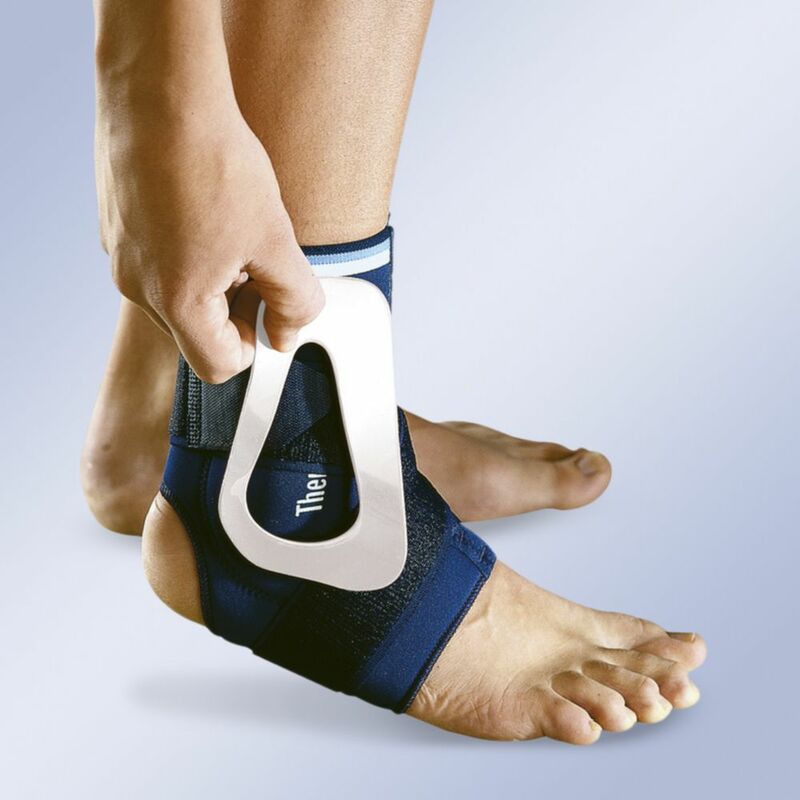 Neoprene ankle support with crossed band and removable internal and external plastic malleolar plates. The plates can be placed on the left side as well as on the right, therefore to avoid rubbing and discomfort during fitting the plates have been labelled as internal and external.